I belong to the second category. I can change wallpapers many times a day. That’s why I need good wallpaper sources. Here you find some ideas on how to diversify your desktop look. But first, let’s discuss some technical issues. How do you know that a wallpaper size is the right for your screen? A tip: close all the windows, right-click the desktop and choose Properties menu. There you’ll see the screen resolution. It’s a rough guideline since everything depends on the OS version. But the basics are the same for all operational systems. 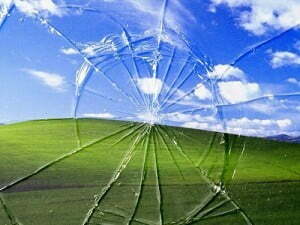 As for wallpapers sources, here you’ll cope without any additional tips. Just type in “desktop wallpapers” in the search field and there you are - thousands of websites offering images to any taste. In this post, I’d like to tell you about my favorite ones. Smashing Magazine I discovered this jewelry case not so long ago and already fell in love with it. 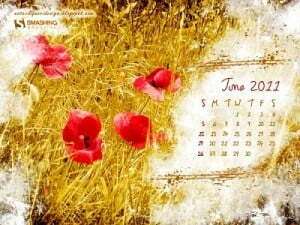 One of the ingenious findings and its brand mark are the wallpapers with calendars. By the way, here are the latest wallpapers for December. I wrote about the desktop resolution settings on purpose, Smashing Magazine offers wallpapers in almost any existing sizes, so you just need to select the right one. If you don’t want to stare at a calendar on your screen, no problem, there is an analogue without numbers and dates. HD wallpapers High definition wallpapers to any taste. Select the category you like and Welcome on board as they say. Many subcategories allow you to narrow the search. What embarrasses me is that there’s only one fixed size for all wallpapers. A bonus is that the website offers a list of related sources of wallpapers. And for the afters. For those who like to change wallpapers more often that once in a decade, I suggest that you have a look at small utilities that automatically change the appearance of your screen. They are, for example, FlickrWall, Flickr Wallpaper Rotator, or Desktop Wallpaper Rotator, and Wally. The last two are designed both for PC and Mac.